Created by reknowned comic book legend Sam Keith, Julie was protrayed as a provacatively dressed social worker with a heart of gold. 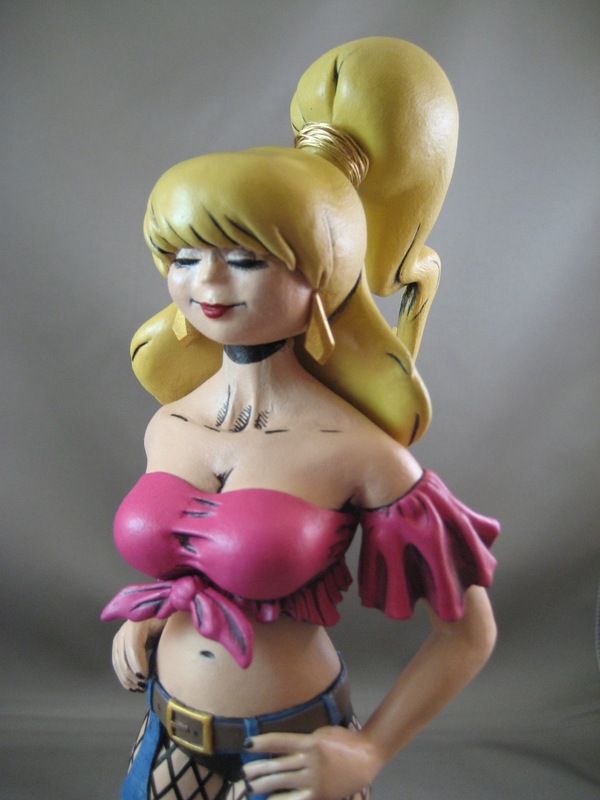 Several sculpted version of the MAXX had come and gone, including some amazing statues by Clayburn Moore, but at the time this statue was started, we had never seen a faithful sculptural likeness of the Maxx's female counterpart, Julie, so we set out to produce one. Sculpted from Super Sculpey and Super Sculpey Firm, this statue is a one of a kind. 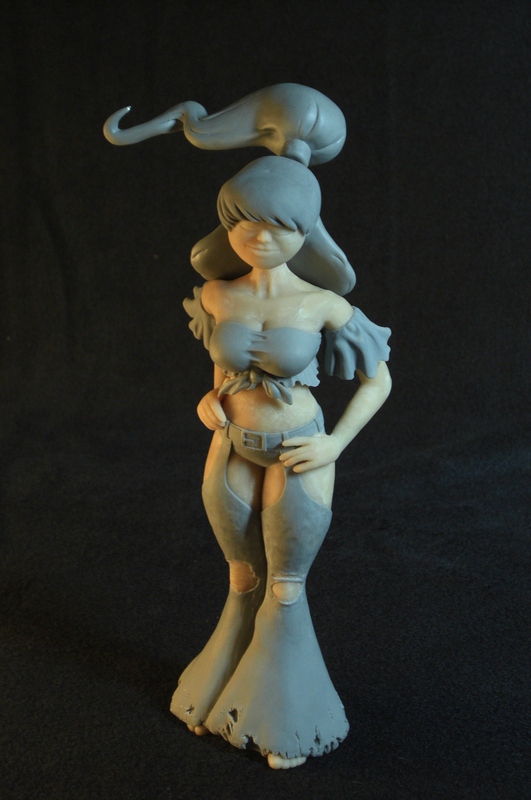 Click the thumbnails below for a few shots of the finished Julie sculpture, before and after paint.